Tory Brexiteer Mark Francois said in the House of Commons on Wednesday, “It is now being widely reported on Twitter that President Macron is minded to veto any extension of article 50 at the Council tomorrow. “Can [Brexit minister Chris Heaton-Harris] confirm that, should that occur, the Secretary of State for Exiting the European Union will initiate Operation ​Yellowhammer—the Government’s no-deal plan—on Monday? The UK is due to leave the EU on March 29th — just over one week from today — and Mrs May has asked the European Council support a “short” extension to Article 50 to June 30th. However, members of the EU27 Spain, Belgium, and France may veto the extension, with the European Council’s president Donald Tusk advising that an extension may only be possible if the House of Commons passes May’s Withdrawal Agreement — a deal parliamentarians have already rejected twice. Named after a small, yellow, European songbird, Yellowhammer deals with the short-term impact of a clean Brexit covering 12 ‘areas of risk’ including UK citizens in the EU and the medicine and food supply chains. Originally planned under Cabinet Office structures, they have now been taken over by Cobra, the government’s emergency committee, according to The Times. The Operation coordinates with 30 central government agencies; should any such department have failed to plan sufficiently for no-deal, Operation Yellowhammer will take over decision making. Other contingency plans have already been launched, such as Operation Fennel for Kent’s traffic management of freight lorries heading to the port of Dover for shipping to Calais. 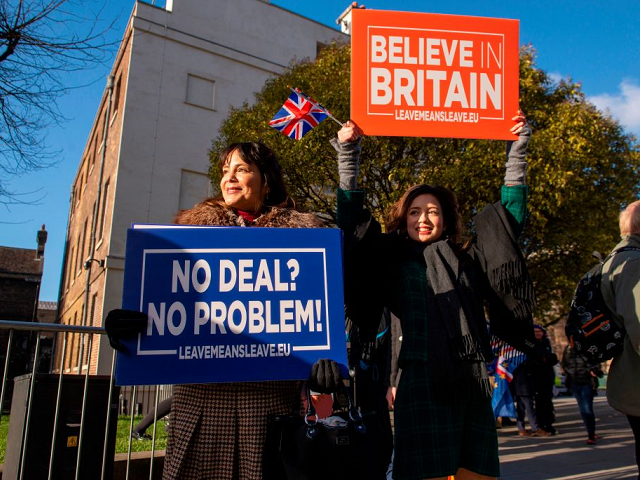 After the House of Commons voted to rule out no deal and ask for a delay, Brussels’ chief Brexit negotiator Michel Barnier said on Tuesday, “Voting against no deal does not prevent it from happening.